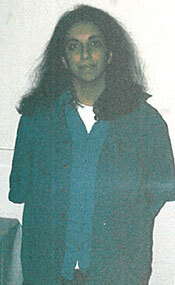 n 1983 Raina Imig left India and came straight to Portland  her husband's former hometown. Her studio gallery, Mandala, is at 1627 NE Alberta Street. In Raina Imig's study of the mandala, she's found it to be universal in nature and science. "It's in the structure of snowflakes, cross-sections of tree trunks and the planets," she said. 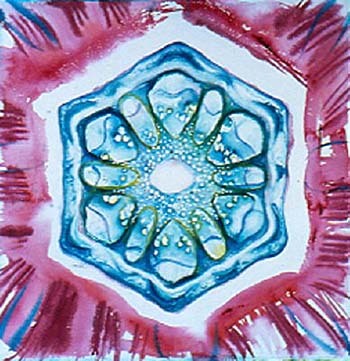 "The cell is a mandala in miniature. The galaxy is a swirling mandala spiral." Other examples of mandalic art include the rose windows of European cathedrals, Celtic and Chinese knot art, textile designs of Africa, rug designs of the Middle East and aboriginal art of Australia. "In other words, it's any art that traditionally employs circles, spirals and symmetry in the design," she said. "In this country, mandalic art can be found in the Navajo sand paintings and in many American quilts." 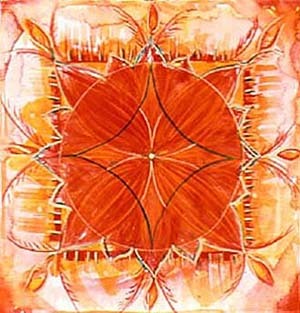 Raina was first exposed to mandala art while growing up in India. Known as rangoli, or floor art, Indian women use different color powders to create circular art on thresholds and porches. "These are usually relatively simple forms of the mandala image," she said. 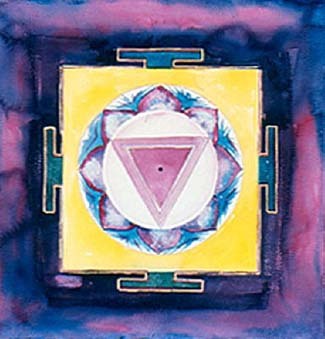 "Mandala in Sanskrit means circle and also represents the temple. 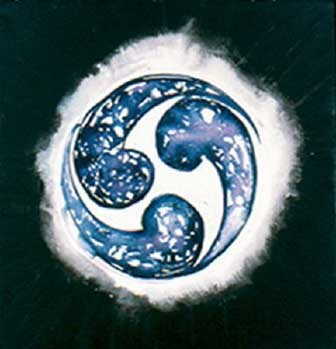 Where the circle itself is not obvious, there is still a symmetry that could be enclosed in a circle." Raina also draws and paints portraits, landscapes and other abstracts. Her next series will draw heavily on images from outer space, so may not appear as circular as her mandalas. Being an artist is something that comes naturally to Raina. Her sources of inspiration are endless: nature, science, philosophy, colors she sees all around her and memories of the bright colors in India. "Art is a life-long learning process," she said. "It keeps life interesting." Raina's painting style is not influenced by any famous artist; her favorites are the folk artists of India, who create art anonymously. Raina exhibits only her abstracts, but on a fairly constant basis. Her 12-painting show hangs at Washington's University of Vancouver through April. She's also shown in Portland at the Talisman Gallery and the Interstate Firehouse Cultural Center. "And I almost always have paintings hanging at my studio gallery on Northeast Alberta," she said. As a child, Raina was fascinated by art. Her parents provided her with art books, supplies and tours of European museums. Family members include an uncle who is a poet, a brother who is a writer, cousins who are singers and musicians, aunts who are potters, artists, actors, etc. But Raina was not sent to fine-arts classes. "I was not supposed to try to make a career out of it," she said. "However, I've found mentors and ways to learn and practice art all my life. I went to schools in Germany and the U.K. where art was emphasized. I gave myself an art education by spending a lot of time in libraries." Raina studied with artist potters, on and off, for 20 years. She's also taken private art classes as an adult. "I did pottery as a young person, also many fine crafts," she said, "but it was not till middle adulthood that I saw myself as a fine artist. "I have experimented with many, many arts and crafts. I took a year-long private course in drawing and painting, started painting in acrylic and learned color pencil and drawing. I have pretty much worked in everything except oils." Raina has been teaching art to children for 25 years; creativity and art to adults for eight years. "I teach a drawing and watercolor class and a six-different-media series through Portland Community College," she said. "I also have private art classes at my studio, and a few times each year workshops in color pencil mandala and watercolor mandala." Through the Regional Arts and Culture Council, Raina has received grants to teach art to children in schools, hospitals, libraries and community centers. Raina loves teaching, but admits it comes second. The many dreams and goals she has for her art are the most important. "Teaching art all these years has been a way to empower people," she said. "I know art can change lives and change the world. "I don't know exactly which dream will choose to manifest itself next, so I can't say exactly what my next step will be. "But," she said, "no artist is ever content." E-mail Raina at rainaimig@hotmail.com. You can reach Kathy at kanderson138@comcast.net, and draw on other Sketch Pads.